Michael Niggel, CEO of Advanced Concepts and Technologies International, has been appointed as a member of the Professional Services Council’s board of directors. PSC said Monday Niggel is one of 11 newly-elected members who will each serve a three-year term on the council’s board effective Jan. 1. He will collaborate with other board members to provide policy oversight and direction to PSC. In his current capacity, Niggel sets the strategic direction of ACT I and develops support services for the acquisition management company’s U.S. and international government customers that include the departments of Defense and Homeland Security. 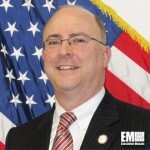 He established ACT I in 1998 after a 12-year career at Science Applications International Corp., where he previously served as vice president and operations manager for SAIC’s technical and business solutions business. Tags: ACT IAdvanced Concepts and Technologies InternationalDefense DepartmentDepartment of Homeland SecurityDHSDODGovconMichael Niggelprofessional services councilPSCSAICScience Applications International Corp.